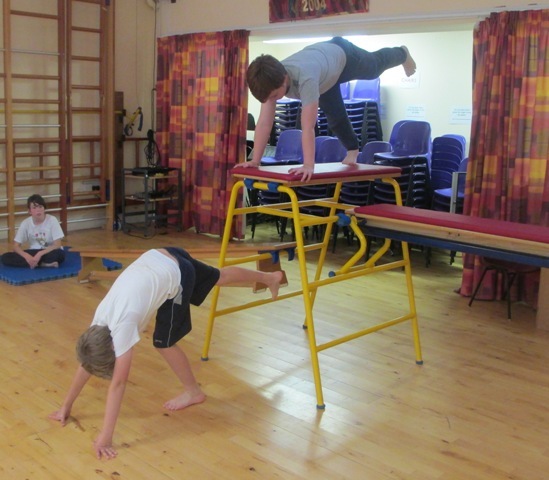 Physical Education (PE) is a highly regarded and integral part of the school curriculum at Mayfield where all children receive the required 2 hours of curriculum PE each week. 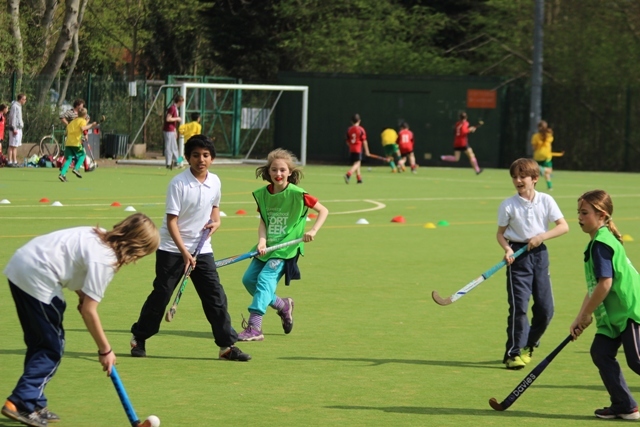 Due to a variety of sports being offered, a high percentage of children also attend Out of School Hours Learning (OSHL) clubs which increases their participation in sport to 3 hours (or more) each week. As the PE curriculum makes a change towards promoting both intra and inter school competition, it brings a change to how the school curriculum is taught, with teachers teaching ‘sports’ at a level 2 competition standard. This will enable whole classes or larger groups of children to participate in these competitions including Tag rugby, Quick Sticks Hockey, High 5s (netball) and many more. With the new curriculum now in place, recommendations have been made for each year group so that sports are not repeated several times and offer the children a broad range of sports. At Mayfield we believe that children should be taught skills that are transferable including passing, throwing, fielding and many more. Dance and gymnastics units are still expected to be taught but the teachers are now able to be more creative and flexible about the content of the units, linking them to topics in class. Each year group attends a different activity- based festival at Chesterton Community College (our link school). These are run by Lorna Adams and Y7-10 sports leaders and include: Tennis, Multi Skills, Indoor Athletics, Cricket and Quick Sticks Hockey. Every year in June 30 children, from across Year 3 and 4, take part in the Cambridge City Youth Games. This is a day of sport that includes a competition as well as taster sessions in a variety of different sports including Athletics, Goalball and Ultimate Frisbee. Football is always popular and for the last few years we have had 3 teams competing in inter school matches, – year 5 and 6 boys’ A team, year 5 and 6 boys’ B team and the year 5 and 6 girls’ team. Our football teams would not be able to run without the support and coaching from our fantastic parent coaches Sheryl French and Rachel Barnes. Over the year we enter both county and family competitions including the ESFA cup competition, held at Netherhall Secondary School every October and family tournaments held at Chesterton Sports Fields. The sports coaches also arrange friendly games against other local schools. Each year a selection of children from Year 5 are identified, from Year 4 data, as having demonstrated leadership skills in sport. A training day is held by Lorna Adams (from Chesterton) and the children are encouraged to run lunch time sports activities for the infants. As they continue into Year 6 the children then become ‘Games Leaders’ and are responsible for running lunchtime sports activities. Every year the school holds an KS1 and KS2 sports day. The KS1 children have a mini-Olympic themed morning that includes running, throwing and jumping events. 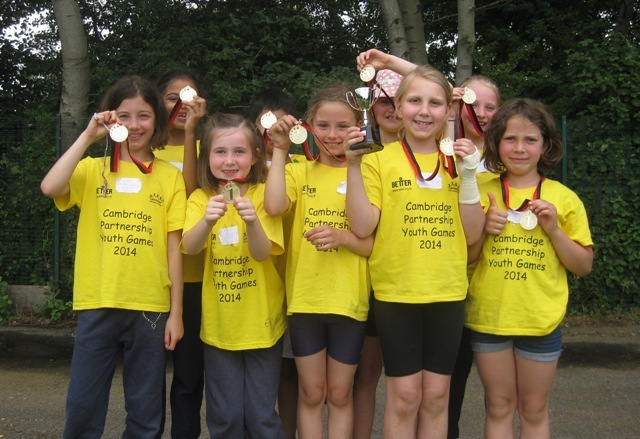 In KS2, after the 2012 London Olympic Games we felt as a school we wanted to reflect the legacy in our school sports day, so from 2013, as well as the usual running, throwing and jumping events, we introduced two swimming events. In honour of the 2014 Tour de France coming through Cambridge in July 2014, it only seemed appropriate to include a cycle race. To be the young people’s voice on PE and school sport in their schools. In order to achieve these goals Young Ambassadors act as advocates and influence adults on the benefits of Physical Education and school sport, and plan and support school sport initiatives in their local area. This may include setting up School Sport Organising Committees, delivering sporting events, or implementing other strategies and activities to engage young people in sport and PE.